I can’t recall the exact number of times I watched my character die as I tried to make my way through the techno-noir action of the SNES Shadowrun game. Let’s say, a lot. 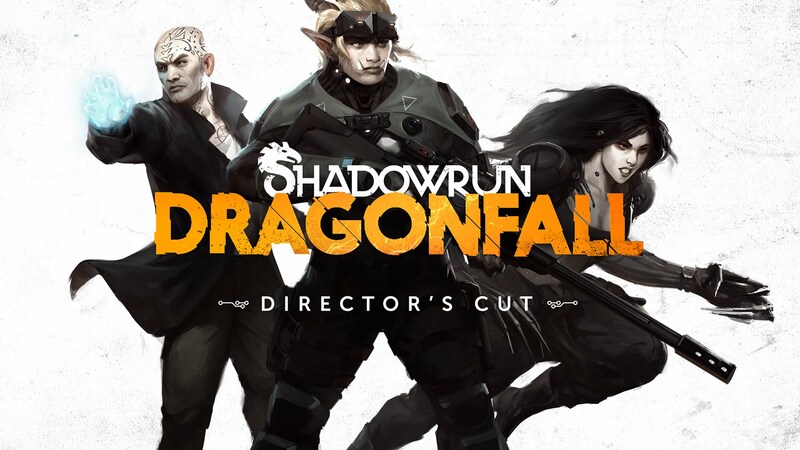 A few decades after those halcyon days, I discovered the PC release of Shadowrun Returns and, more recently, Shadowrun: Dragonfall. Where Shadowrun Returns was a good reminder of everything I liked about Shadowrun’s cyberpunk meets urban fantasy aesthetic, playing Dragonfall has given me cause to reflect on the narrative flavour of the Shadowrun world. Specifically, Dragonfall is an excellent way to have a conversation with gamers about the kinds of social issues that often make gaming look like a juvenile and retrograde enterprise. Allow me to explain. What little I remember of the Seattle-based Shadowrun lore is that it includes a considerable cultural transplant from the native peoples of the Pacific Northwest. Rusty as my SNES Shadowrun memories are, I think I recall characters talking about their Haida and Salish backgrounds. The game never made a big deal about this representation; it was simply a part of the world. Looking back, this level of inclusion is fairly significant for the early 90s. From today’s point of view, and given the current debates orbiting the world of gaming, I think it’s fair to expect more than simple representation. We live amid a cultural climate where a vocal collection of nitwits refuse to acknowledge any room for growth within the medium. Thus, if games want to be taken more seriously as art, they need to engage an audience in some deeper conversations. On said note, Dragonfall offers an excellent dialogue on privilege. 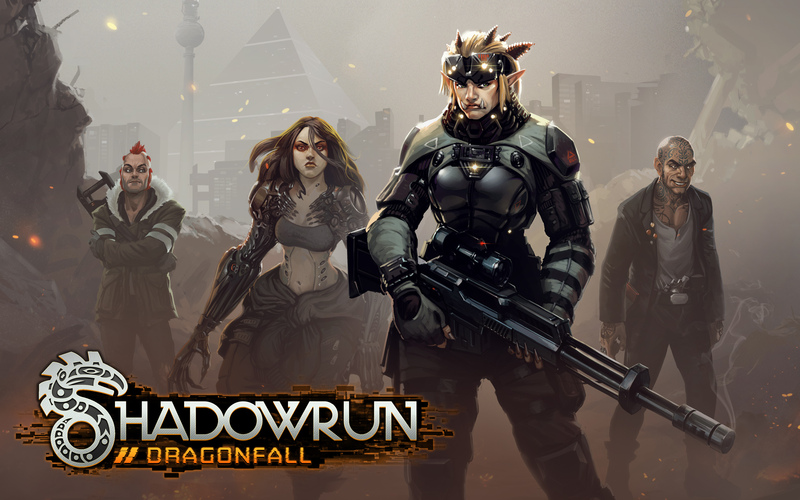 In addition to blending magic and technology, Shadowrun features a cast of fantasy races. Humans live alongside Elves, Dwarves, Gnomes, Trolls, and Orks. These Metahumans are often treated as second and third-class citizens in the tumultuous nation-states of the “Sixth World”. Metas have to struggle with discrimination in the workplace, presumed identities based on species, and a greater tendency toward being exploited by the Human and Dragon dominated systems of power. Even inclusive nations, like Dragonfall’s Berlin Flux-State show Humans as often begrudgingly tolerant of Metas. Dragonfall is also noteworthy in its refusal to present Metahumans as racially/species coded beings. This is in opposition to someone like Tolkien, for example, who aligns the relative good and evil of his fantasy species around skin tone. Humans, Elves, and Hobbits are almost always good, and they just happen to be white-folk; whereas Trolls, Orks, and Uruk-hai are almost always evil and of a darker complexion. Other works of fantasy, both high and low, are equally guilty of this coding. Consider the contrast between the noble Wood Elves and the spider-god worshiping Drow of the D&D tradition. It’s an obvious act of genre subversion when Dragonfall sets up Trolls and Orks as white, European characters, who actively struggle with a system of oppression based singularly on how they happened to be born. Indeed, this level of discrimination is a sadly familiar state of affairs. Should a player choose to interact with the homeless shelter in the Kreuzbasar, Dragonfall’s central neighbourhood, they learn that the majority of its residents are from the more traditionally “monstrous” species. Most of those residents use the shelter as the first step to finding a third way between a life of crime or a life of poverty that human-dominated society foists upon Orks and Trolls i.e. you’re big, stronng, and dumb, so you’re only good for menial work or as a hired thug. The added benefit of this primer on privilege is it occurs in a neutral environment, absent any recrimination for what a player may or may not comprehend about inequality. If a person plays Dragonfall as a Human character, the narrative very specifically points out all the ways in which Humans keep themselves on the top of the heap e.g. denial of civil rights, racial profiling, drugs, and so on. Likewise, if a person plays as a Meta, they have to experience all the prejudices and presumptions foisted upon non-Humans. Even playing as an Elf – a race described in game as the most privileged of the Metahumans – I’ve witnessed instances where being a human character would have made my life easier. As an added bonus, no group of actual people is used as an object in Dragonfall’s lesson. I can’t imagine anyone looking at an Elf or a Troll in Shadowrun and seeing their personal identity being used as a teaching tool. Nevertheless, listening to an Ork businessman share his anxieties about how his co-workers presume his incompetence, based solely on his race, should prove a clear allegory for what many people deal with in the real world. Dragonfall might not change how everyone who plays the game thinks about race, identity, and discrimination, but it provides an easy point of entry to understanding how these issues effect distinct groups of people. Should Dragonfall give a gamer a moment to pause and reflect on how art may be imitating life, then I dare say it will have done more than entertain its audience. Dragonfall would have helped make that said person a little bit better as a human being.